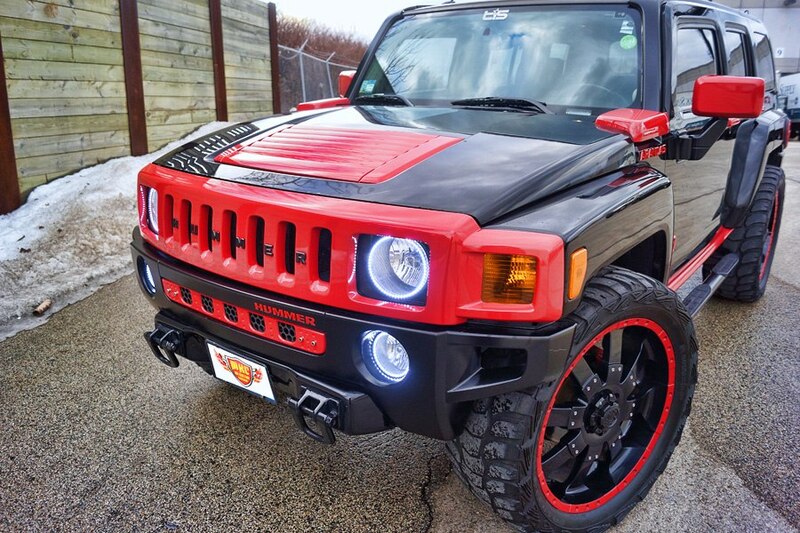 Red White Halos installed on a 2006 Hummer H3. 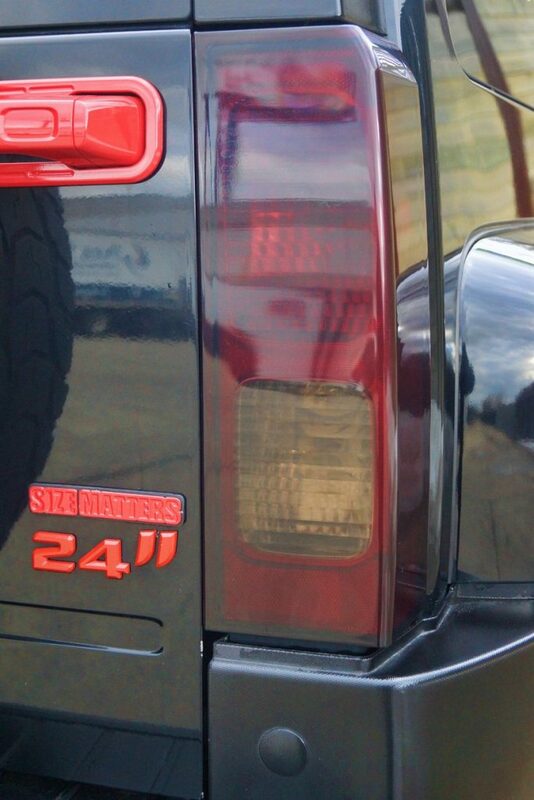 Forgiato Logo Puddle Courtesy Door Projector Lightswere added to the driver and passenger doors. 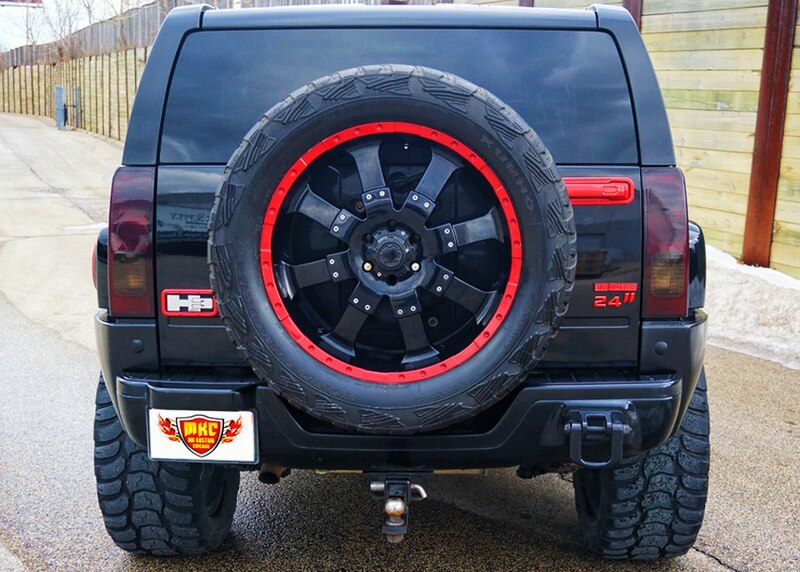 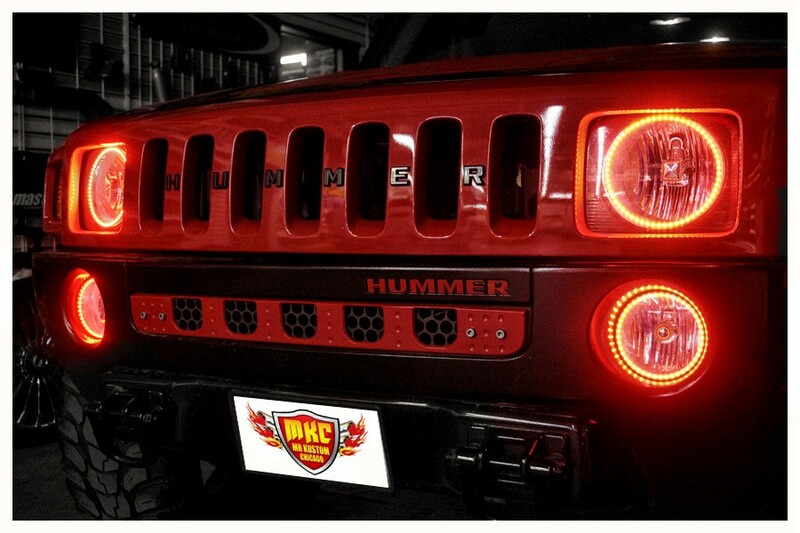 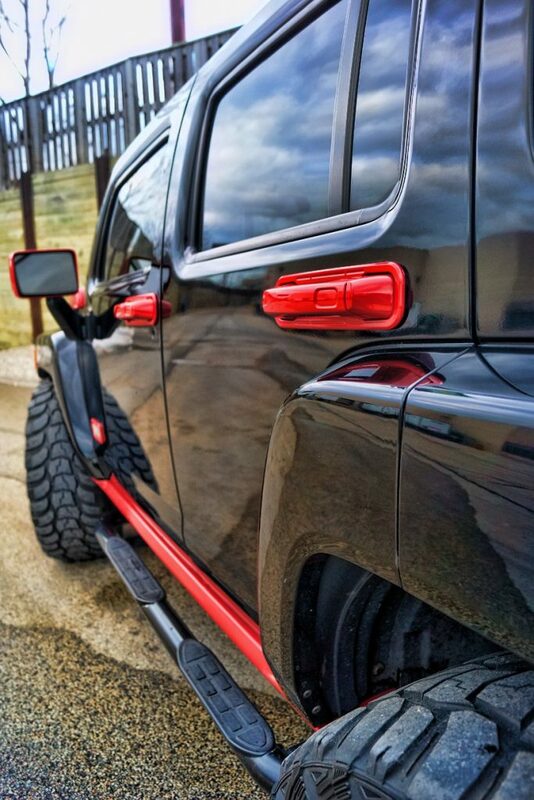 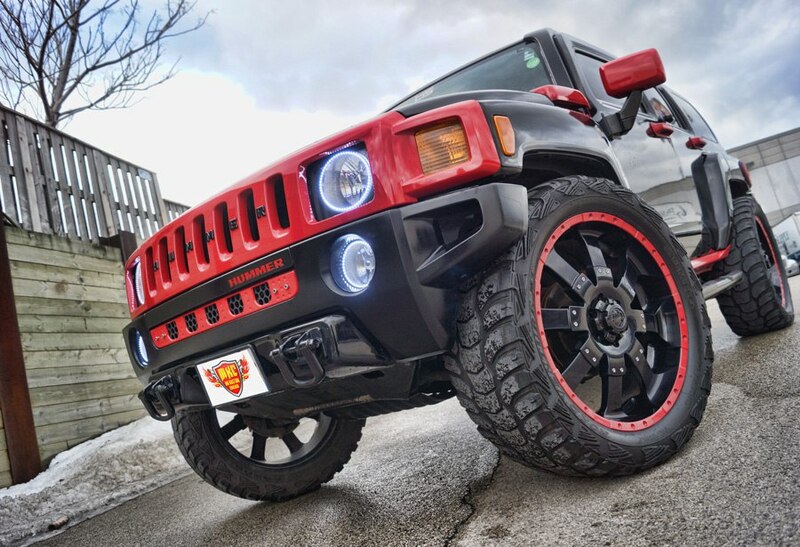 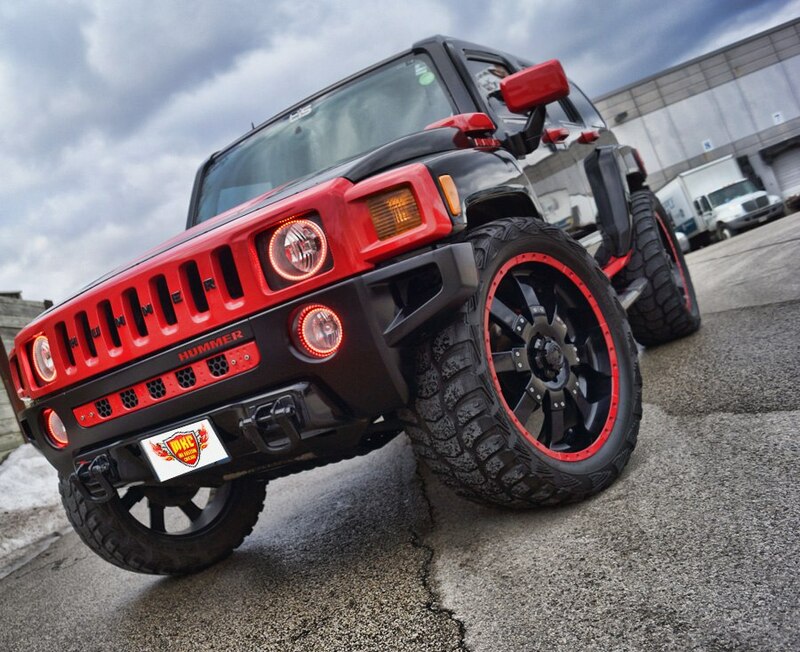 This Hummer H3 had a set of Red White Halos added to the headlights and fog lights. 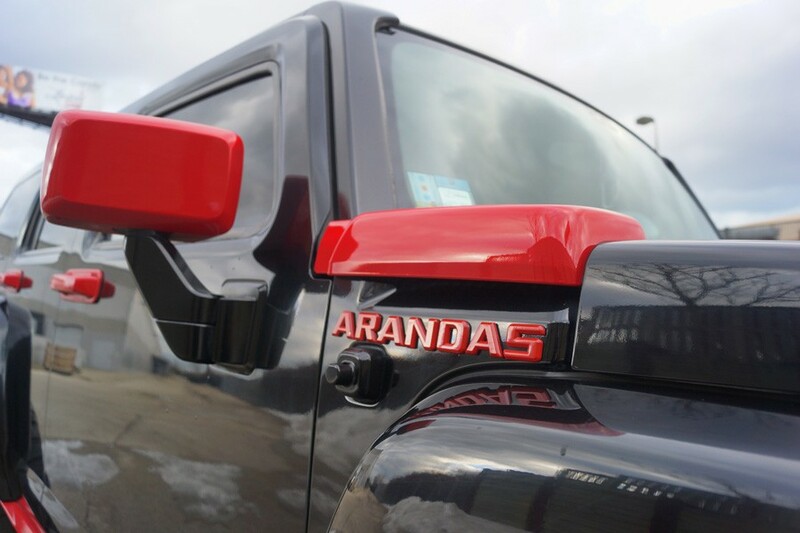 After that Forgiato Door Logo Puddle Lights were added to the 2 front doors. 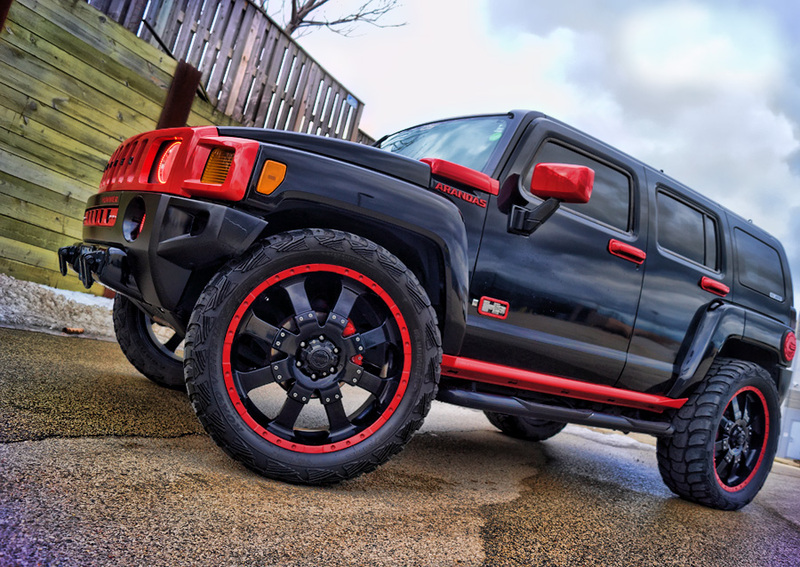 This whole vehicle had all the trim painted red to give it a unique look that stands out from the rest. 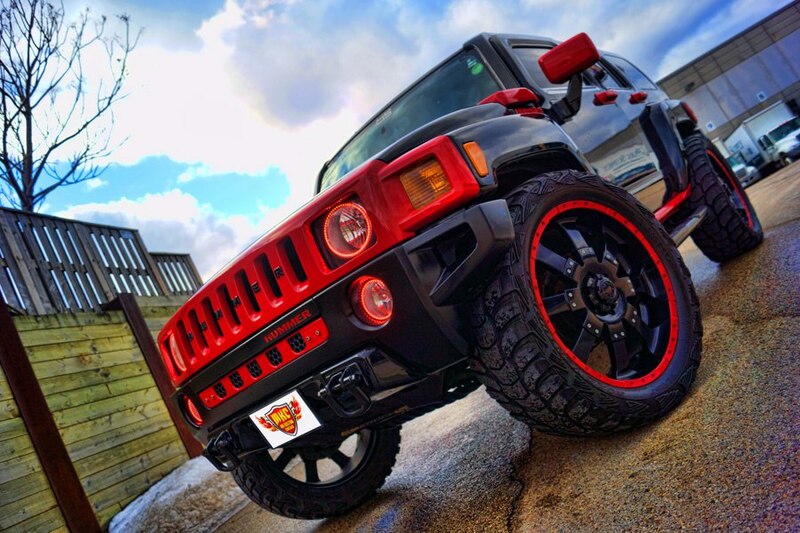 At Mr. Kustom in Chicago, we turn your vehicle from Blah to WOW! 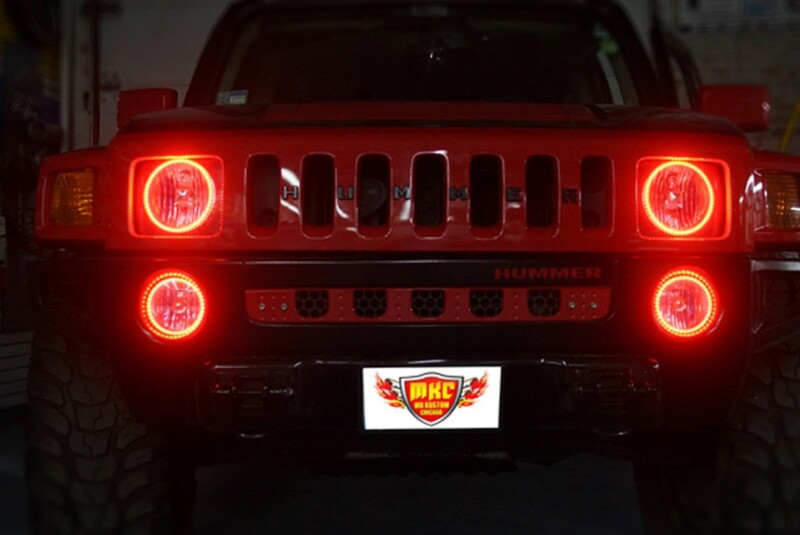 If you’d like more information on our Red White Halos, please call 773-583-3770 and speak to one of our qualified specialists.